Stop him! He’s a photographer! Quick! Before he gets away! Seen at the entrance of the art department sub-gallery at Stanford. Stenciled onto a concrete retaining wall. Neat-O. 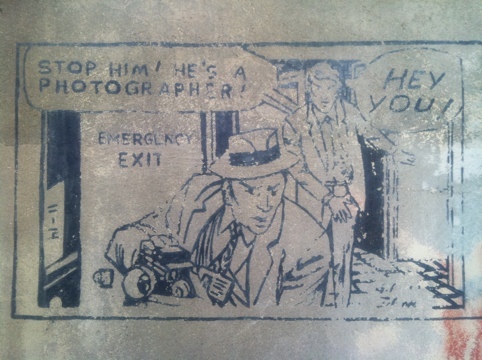 This entry was posted in Comics, Photography, Signage, Stanford University, Street Art, Grafitti, etc. and tagged iPhone, Photography, Signage, Stanford. Bookmark the permalink.